Labelling is an important concept that gives finishing to packaging. Machineries designed to carry over the classification purpose are of different varieties as they are made to suit labeling options of different objects. As far as medical industry is concerned, labeling stays a highlighting factor as it carries critical information about the medication, dosage, ingredients, etc. 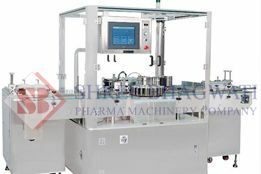 Labeling requisites vary widely for pharmaceutical sectors as the quantity of product starts from micro milligram onwards; hence, labeler equipments need to be selected based on its compatibility to handle different size of containers. Buying equipments for secondary packaging needs can fetch benefits for long term provided the equipments are maintained properly. Taking care of maintenance aspects will certainly assist for reliable productivity as well. Vial sticker labeling machine, self adhesive labeling machine, tube labeling machine, ampoule labeling machine, etc are some of the important labeler equipments preferred in pharmaceutical industry. The way labeling operation is conducted is an important aspect in labeling medical products. Labeler equipments are composed of different types of components and some components required to be changed periodically. This will help to obtain sustained productivity without interruption. Increasing down time of the machinery will increase the machine life; hence, the machine can be relied upon for long term productivity. Shree Bhagawati Labelling Technologies is a pioneer in manufacturing and exporting labeling devices worldwide. They design wide range of labelers for pharmaceutical industry and the machine type includes ampoule labelling machine, self adhesive labeler, vial sticker labeling machine, etc. Machine life of labeler can be guessed based on the technical advantages of the machine design. 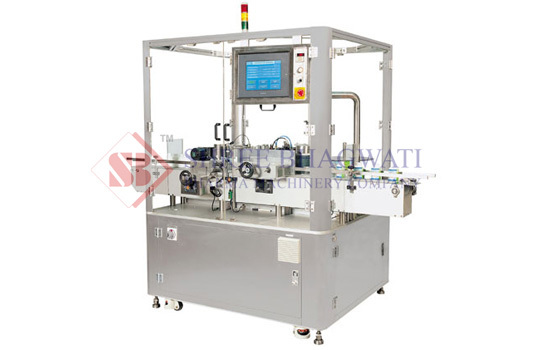 Machineries offered by Shree Bhagawati Labelling Technologies are known for low power consumption, less maintenance, availability of spare parts that need to be changed periodically and the ease of operation. Every labeler machine design is designed with the latest software and they are sent for testing before they are delivered to the consumers. The micro processor controlled label dispensing system and the label sensing system keep the process going flawlessly. These mechanisms require low maintenance and hence, save lot of time in classification operations. Before investing in labeler machines the consumers must make sure of the following tips to obtain ultimate equipment. Machine’s down time, performance, service options provided by the manufacturer are some of the important points to be considered before investing in labeler device and Shree Bhagawati Labelling Technologies provides all these features. Labeling machines have become important requirement for packaging. 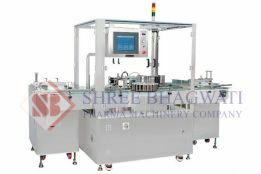 Machines that requires very low maintenance aspects remain effective for prolonged productivity and labelers offered by Shree Bhagawati Labelling Technologies contains all the important requirements.